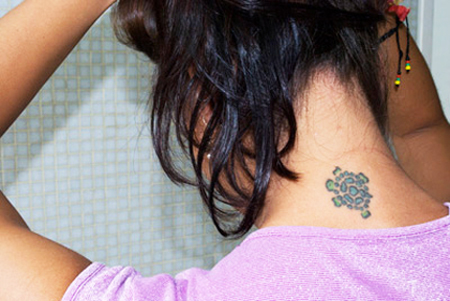 Turtles have always been a mysterious and fascinating creature. 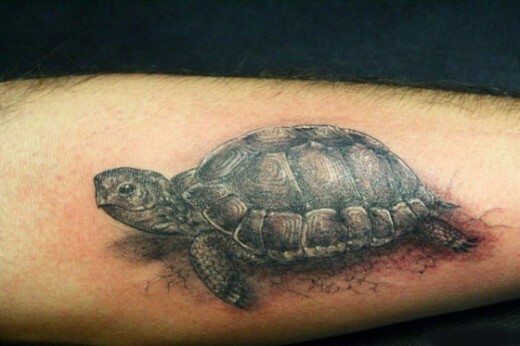 With one of the longest life spans of any living thing on the planet they have always been associated with long life, patience, and wisdom. 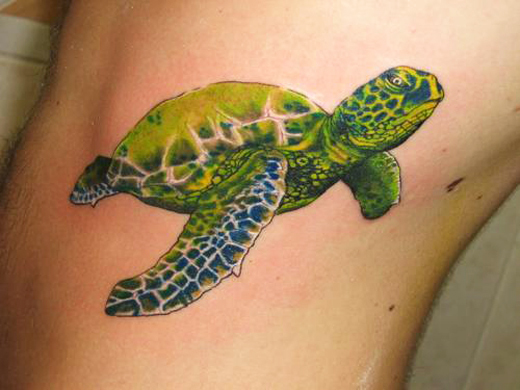 Some cultures see turtles as the epitome of wisdom. 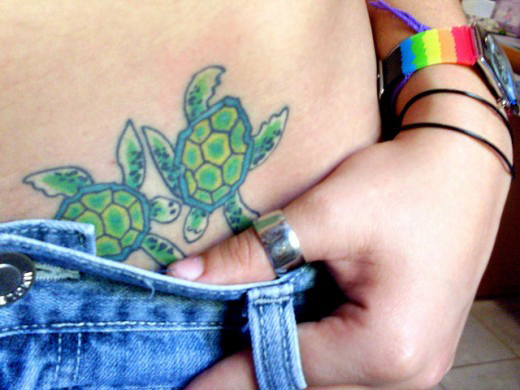 Some admire their characteristics of being steadfast and at peace, while others associate turtles with qualities of reliability and tranquility. 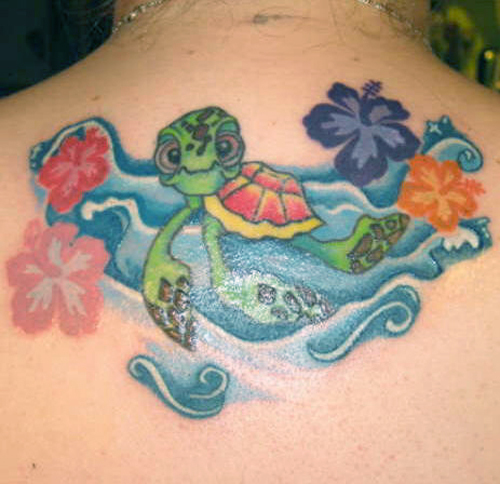 Many women also like to add turtles with other images such as flowers or water to help reflect more individual personality and emotion. 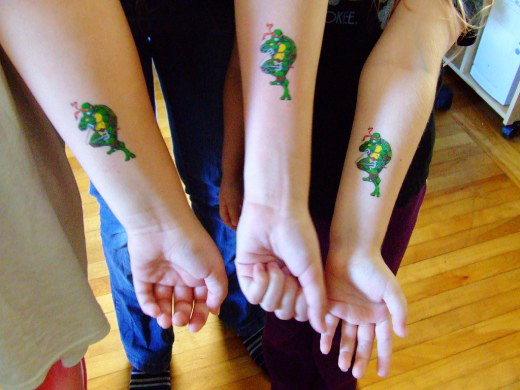 Big bright colors usually are predominate in this style to help bring forth more expression and show the nature of this reptilian friend. 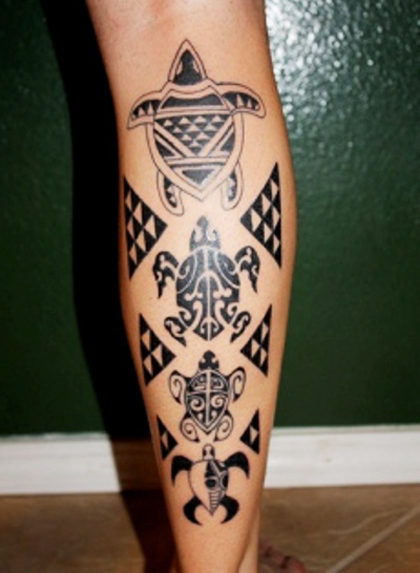 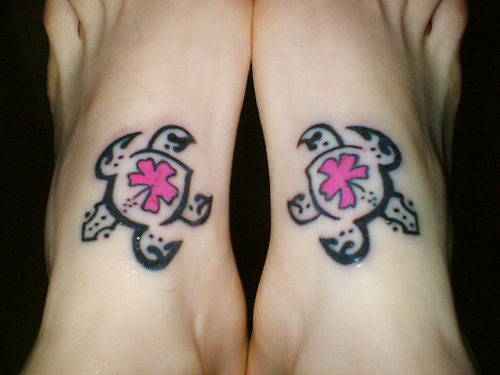 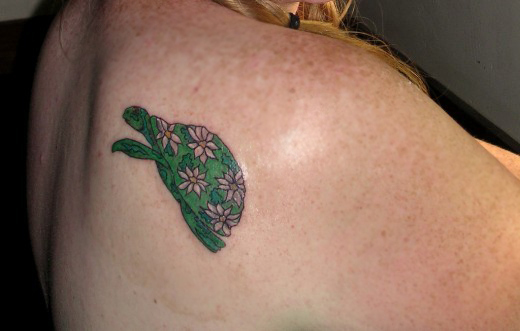 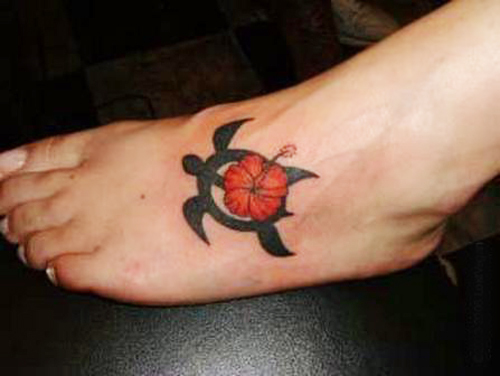 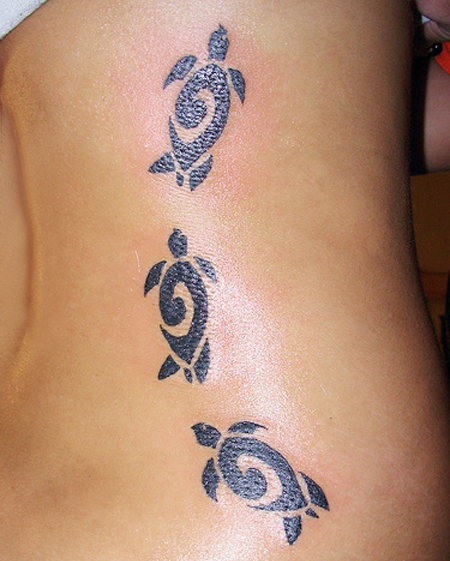 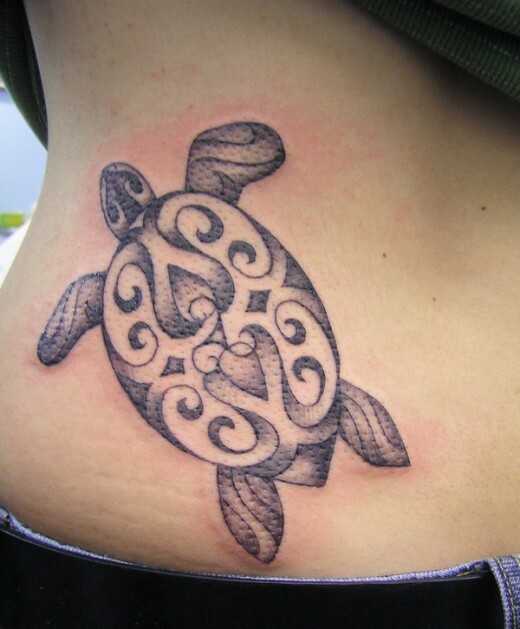 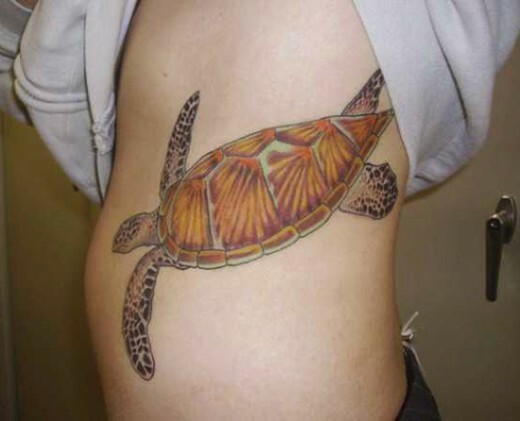 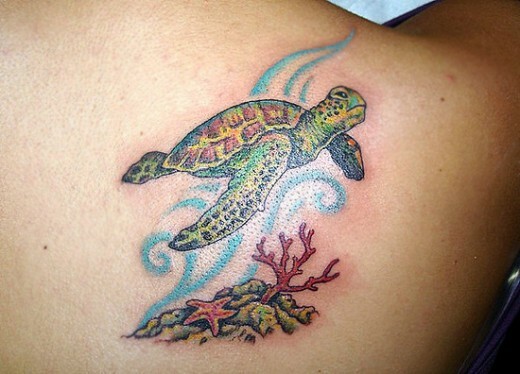 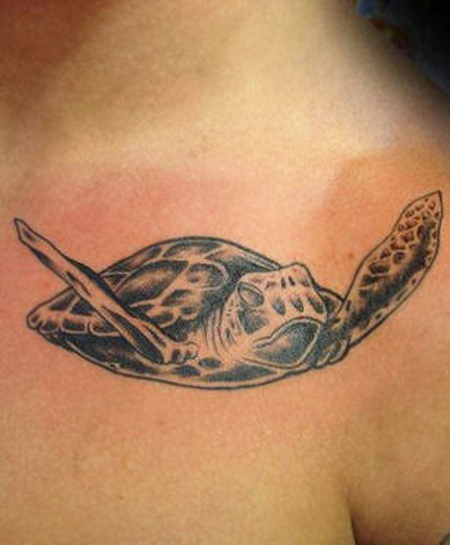 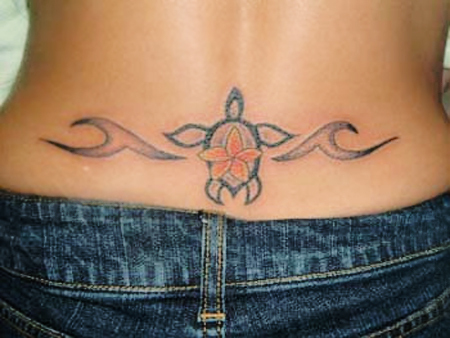 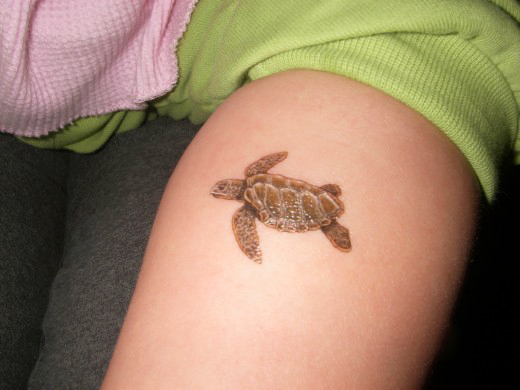 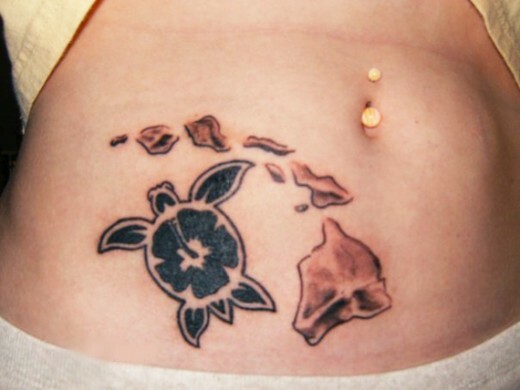 If you are considering getting tattoo on your skin, you may want to try the turtle tattoos since this design is the most popular to younger individuals nowadays.